For years, bows were considered the ultimate girly accessory, reserved mainly for toddlers and in the pigtails of cheerleaders. This season, they&apos;ve come full circle, showcased in an almost powerful manner by gracing the collars of shirts as a playful take on the bow tie. 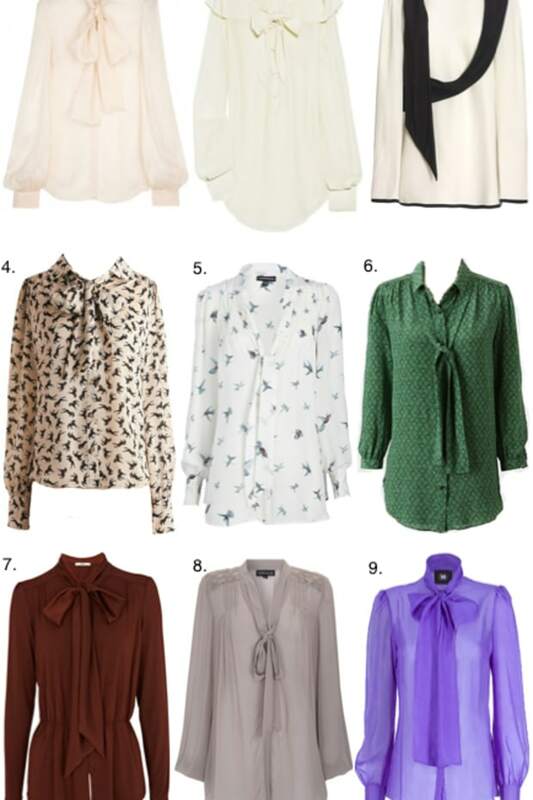 Below are the details on the six pieces I&apos;ve deemed worthy of my wish list. 1. French serge day coat - J.Crew, $350. I&apos;m captivated by the model&apos;s rosy cheeks and bright smile, but it&apos;s the saffron-colored coat that really illuminates her features flawlessly. 2. Bow Bouse - Cheap Monday, $75. A slightly unfussy take on this prim and proper trend in a buffalo plaid and oversized bow. 3. Silk Backless Bow Bouse - Sea, $275. True to its name, this shirt is a seductive halter thanks to its barely-there silk and accordian pleating. 4. Lunar Bow Front Top- Madison, $245. I love the asymmetrical bow on this sunny top that I&apos;d tuck into some high-waisted trousers. 5. Bow Tied Blouse - Mink Pink, $57. I love the simplicity of this piece with its relaxed fit and low-cut neckline. 6. Ava Bow Tank - Christopher Deane, $237. The hot pink bow on this cream colored top really pops, making this the perfect option for a date.